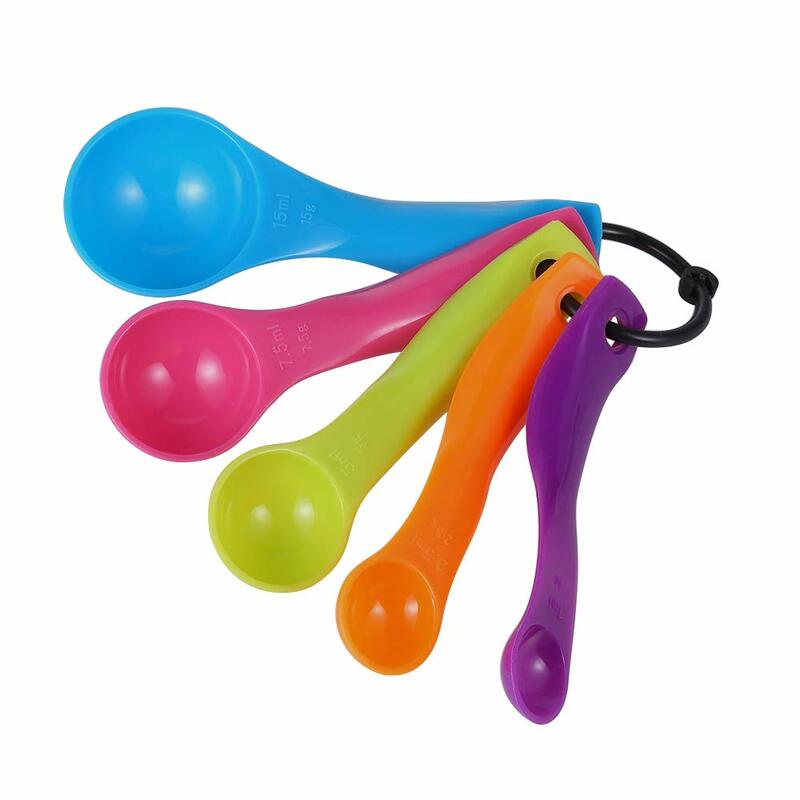 SET OF 5: This set includes 5 measure spoons: 1/4 tsp., 1/2 tsp., 1 tsp., 1/2 tbsp., and 1 tbsp. EASY TO READ: The measuring spoons feature easy to read measurement marking; in standard units. LIGHTWEIGHT: These measuring cups are constructed of durable, lightweight plastic. MULTIPLE USES: These measuring spoons can be used for both wet and dry ingredients. DISHWASHER SAFE: These measuring spoons are dishwasher safe for fast and easy cleanup.